Oh, what better room to have some fun in than in a children's playroom!!! 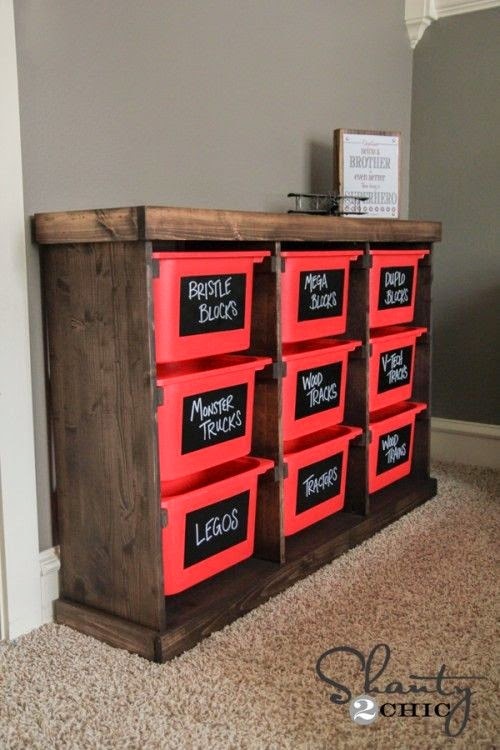 Here are some great small storage ideas that I came across as I was gathering inspiration for a design project. Fun, simple, and affordable! 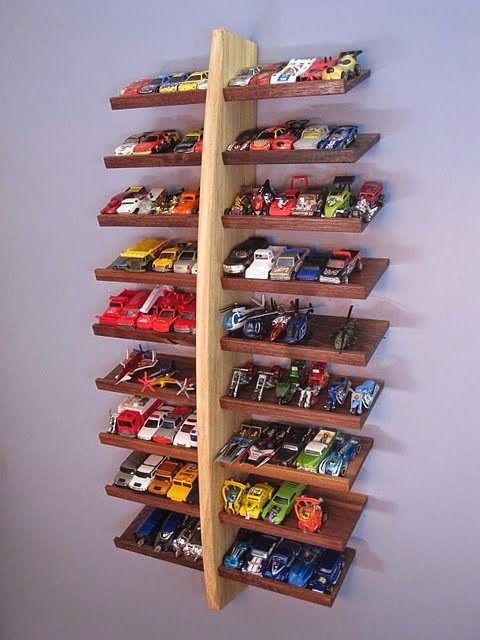 These storage solutions are creative ways to display all those smaller toys that children seem to have thousands of! 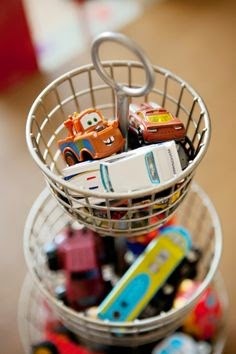 Your child can still see their toys, even when they are neatly "stored" away. 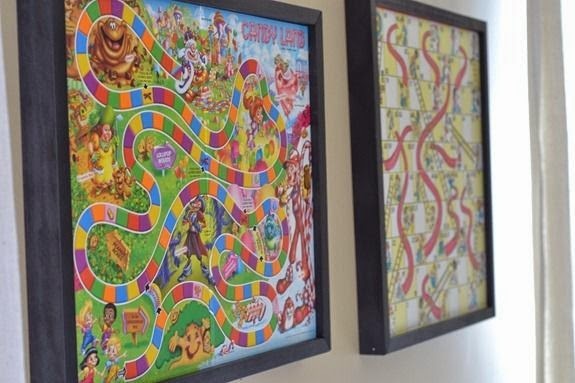 The framed board games are an especially clever idea. 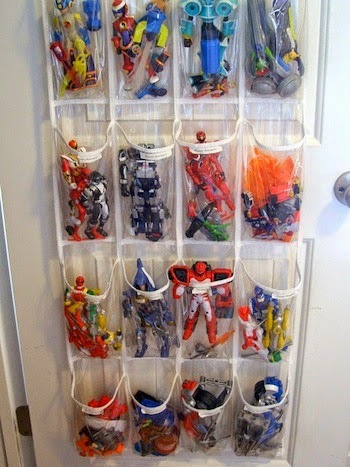 Game pieces can be stored in a plastic baggie and secured to the back of the frame. Simply take the frame down when you're ready to play! 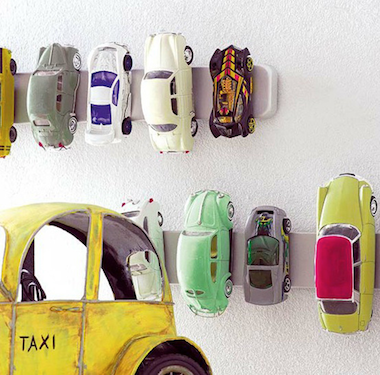 It works double-duty as great "wall art" too! And the flower baskets...oh so creative! 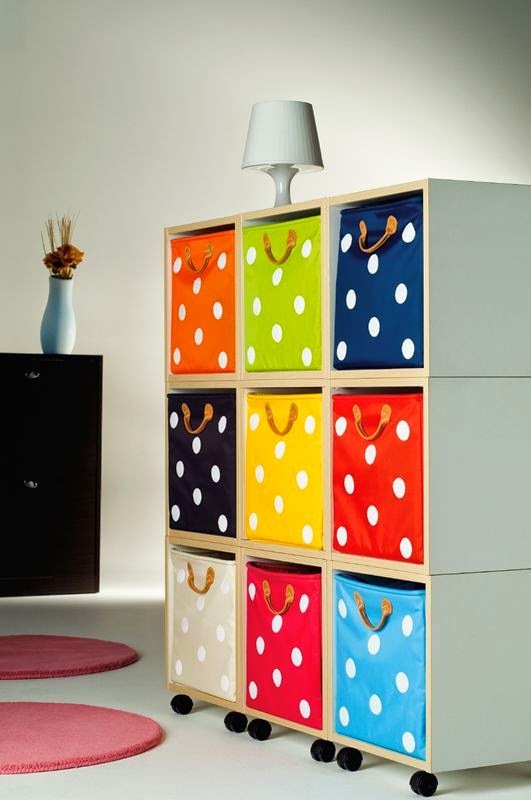 Hanging storage containers make use of vertical space, and it adds so much dimension to a wall. It's a great solution for stuffed animals! All these storage ideas are inexpensive, practical, and pretty to look at! 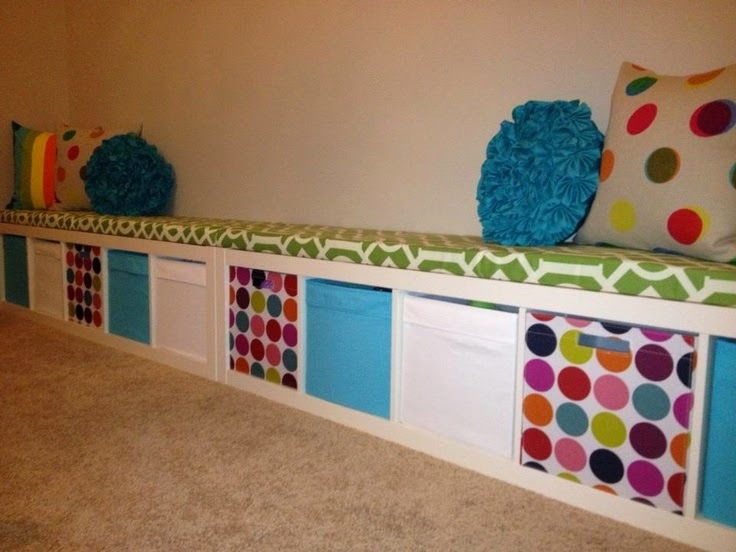 In a playroom, Why not let your children's possessions become the "pops of color"?! Storage should be at a kid-friendly height so that they can easily access their toys when it's time to play, and put away their toys when it's time to clean up! 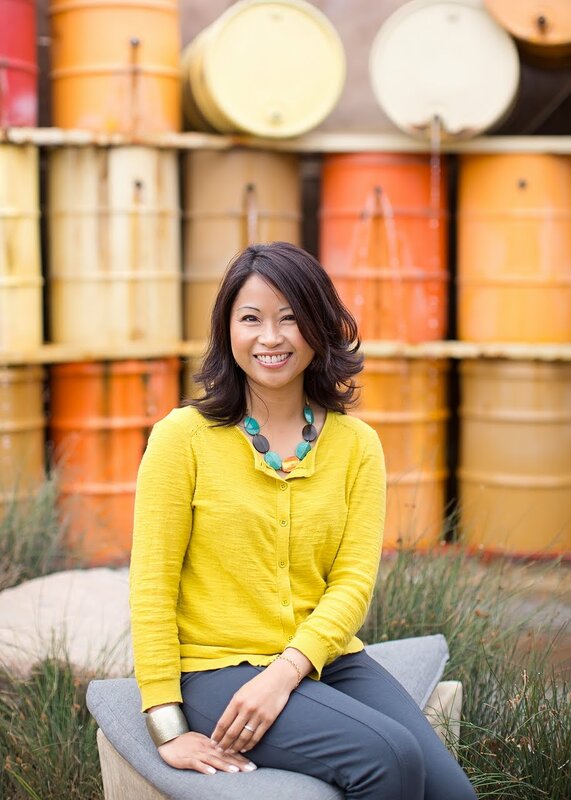 Fabric, woven (baskets), or opaque containers are great bin solutions that you can tie into a room's design scheme. 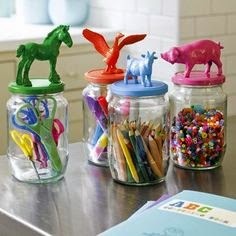 Adding labels to such containers can give it a customized look, while offering a practical way for kids to properly sort their toys. 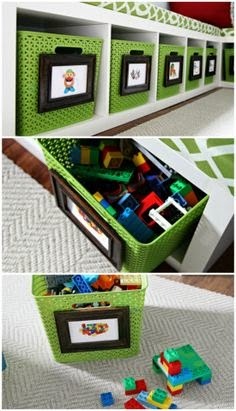 See-through storage bins are another inexpensive option, and a great solution if your children are not yet reading age. 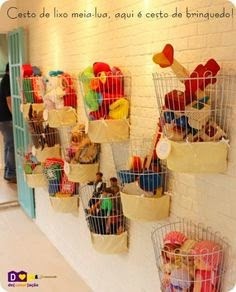 In order to keep a playroom clutter-free (at least visually! ), it will require proper storage. Over time, whether it be from birthday parties, hand-me-downs, or toy shopping sprees, kids will acquire lots of toys, games, and odds and ends. May as well embrace the inevitable and give it a design solution!